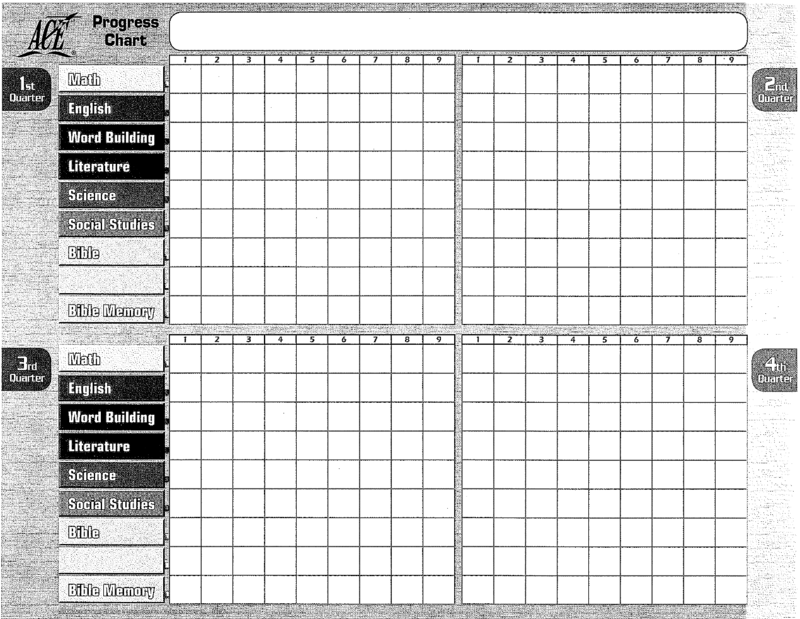 The Student Progress chart is a large card with subjects listed on the left side for each quarter of the academic year. This chart can be used as a visual representation of your student’s progress. This chart is not required and does not need to be returned to Bridgeway Academy. The student’s name should be printed in large box letters at the top of the chart. A plastic cover may be used to keep the Student Progress chart neat and clean during the year. This plastic cover may be purchased at an office supply store near you. When the student completes a workbook, online, or CD test and passes the test, he or she receives a colored star. The stars may be purchased for a small fee from our office or from any office supply store. The star should be placed on the chart in the box representing the week in which the test was passed in a certain subject. These little stars may at first seem unimportant to you, but achievement and rewards should always go hand in hand. 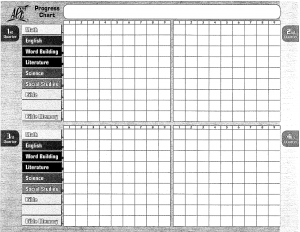 This chart helps the student to visualize his or her overall achievement and progress in a concrete manner and is a very valuable addition to the daily operation of your homeschool.